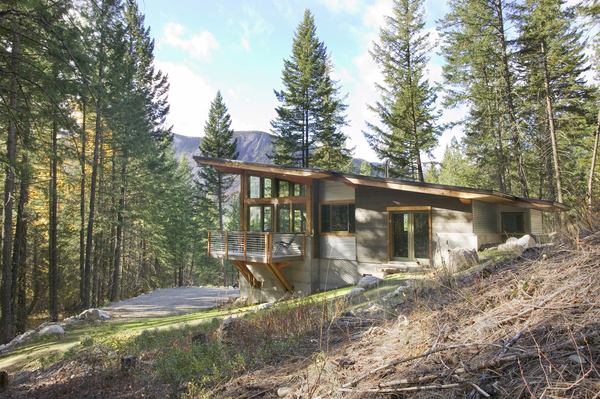 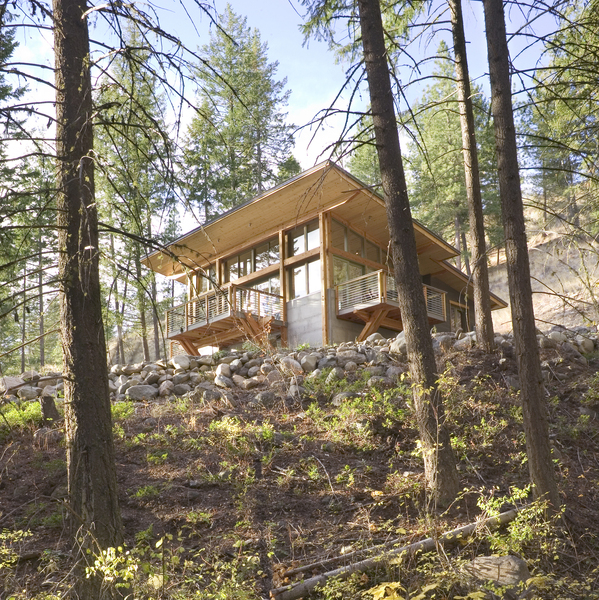 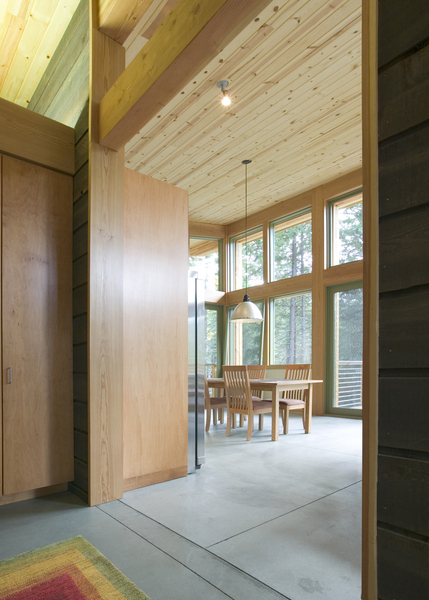 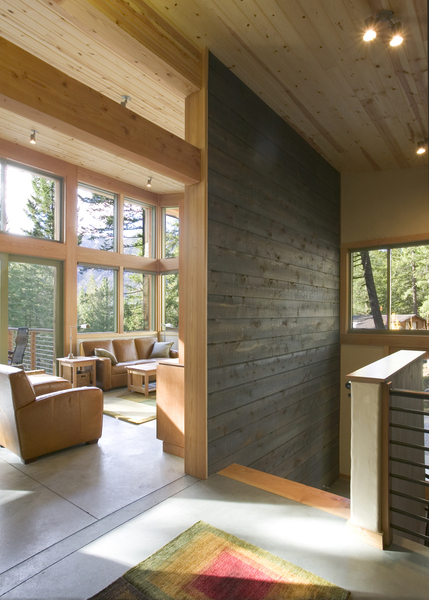 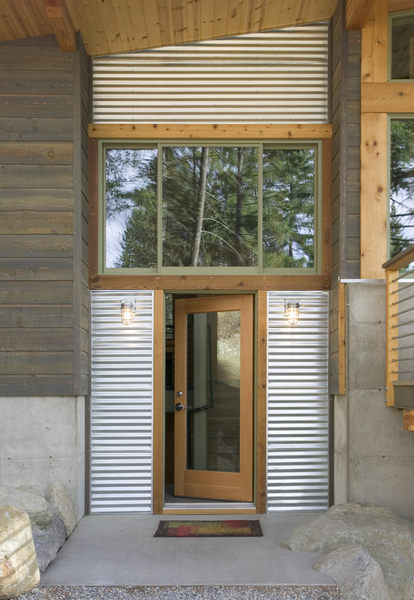 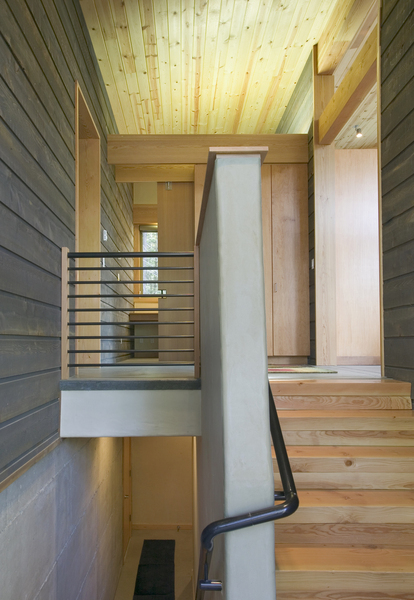 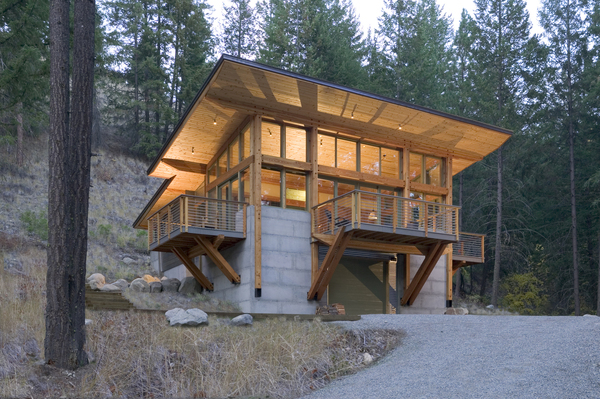 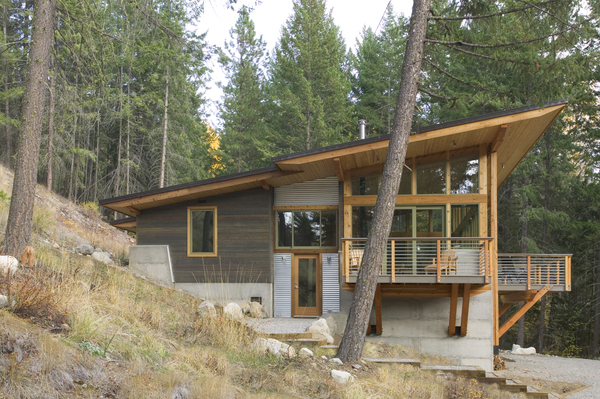 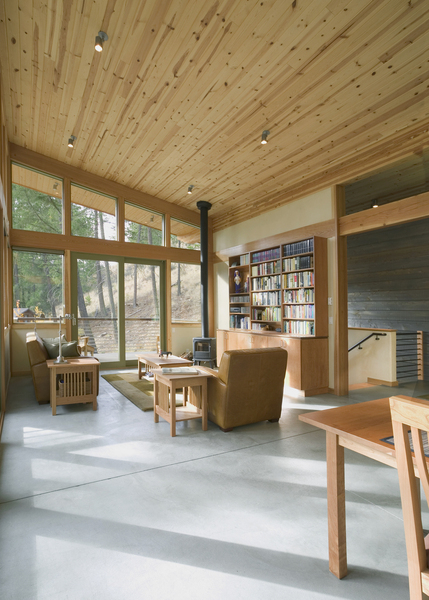 Built into a step hillside overlooking a stream with a view to the mountains in the distance, this cabin is anchored into the hill with a concrete base that contains the garage and other utility spaces. 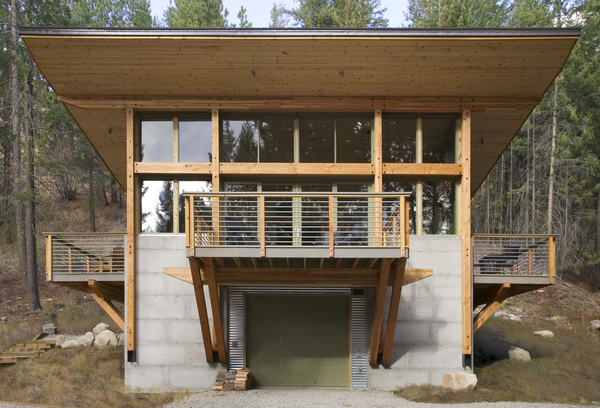 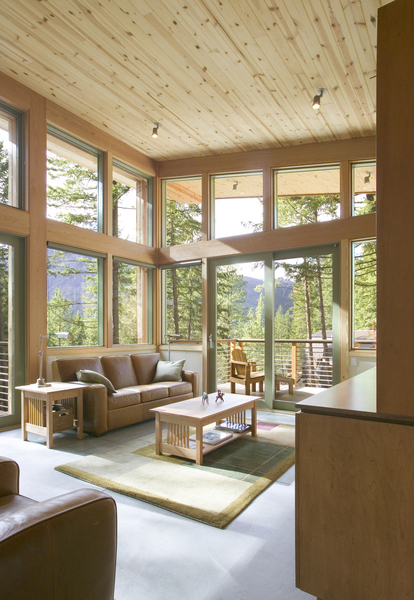 The living spaces are in the upper level, perched above the hillside. 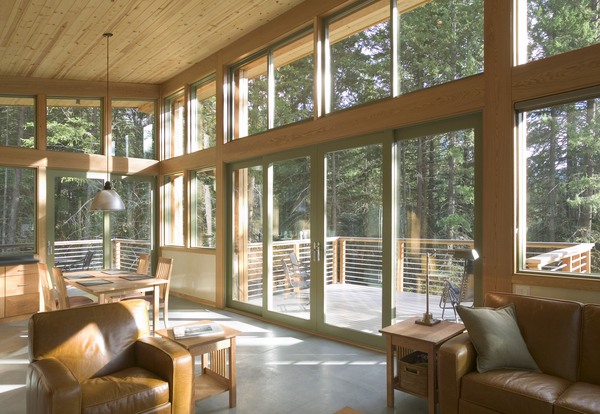 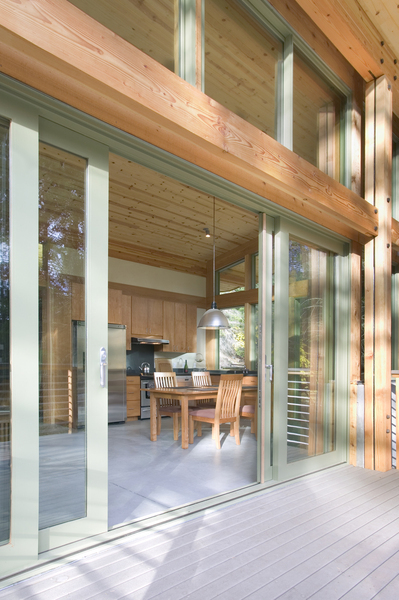 The open, airy floor includes a kitchen/dining/living space with large window walls on three sides, while the east-facing master suite opens out to the stream through sliding glass pocket doors. 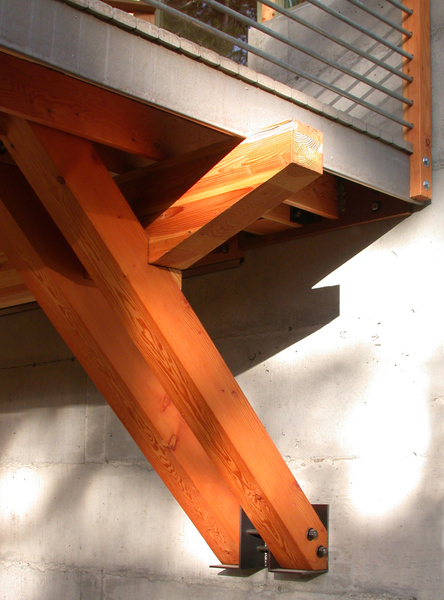 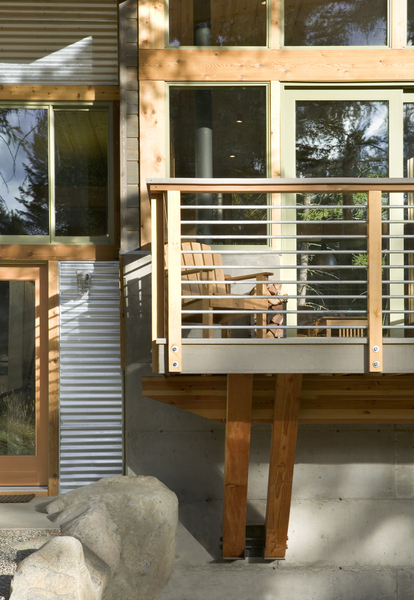 Decks cantilever off of the concrete base on three sides, maximizing views to the surrounding natural beauty.